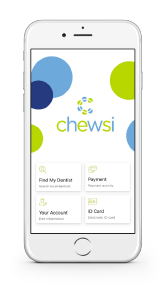 Advanced Benefit Strategies, Inc. is proud to partner with Chewsi, the new way to save big at the dentist — every service, every time. From routine care like cleanings and fillings to more expensive services like implants and crowns, Chewsi gets users significant savings they can’t get on their own, with no monthly fees or premiums. You’ll save time and money with Chewsi, too. With no monthly fees or premiums, no enrollment to track and no paperwork to complete, Chewsi is a hassle-free way to help your clients’ employees save big at the dentist. With Chewsi, there are no limits, exclusions or waiting periods. Use it to save on dental care, whenever you need it. Chewsi can even help users save on any dental care their employer’s dental plan doesn’t cover.